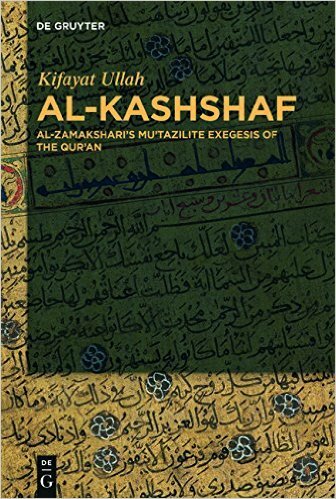 The book analyzes extensively al-Zamakhsharī’s tafsīr al Kashshāf within the framework of the Mu‘tazilites’ five principles : (usūl al-khamsa) of their theology. Andrew Lane in his book entitled “A Traditional Mu‘tazilite Qur’ān Commentary : The Kashshāf of Jār Allāh al-Zamakhsharī” states that al-Kashshāf is not a Mu‘tazilite tafsīr of the Qur’ān. This book has been written to prove that al-Zamakhsharī’s tafsīr is completely in accord with the Mu‘tazilites’ theology which is embodied in their five principles. The book is divided into two parts. Part I comprises of al Zamakhsharī’s biography, al-Kashshāf, and his methodology of tafsīr. Part II covers comprehensive analysis of the five principles : unity of God ; justice ; the promise and the threat of divine reward and punishment ; the intermediate position between belief and unbelief ; and enjoining what is right and forbidding what is wrong.